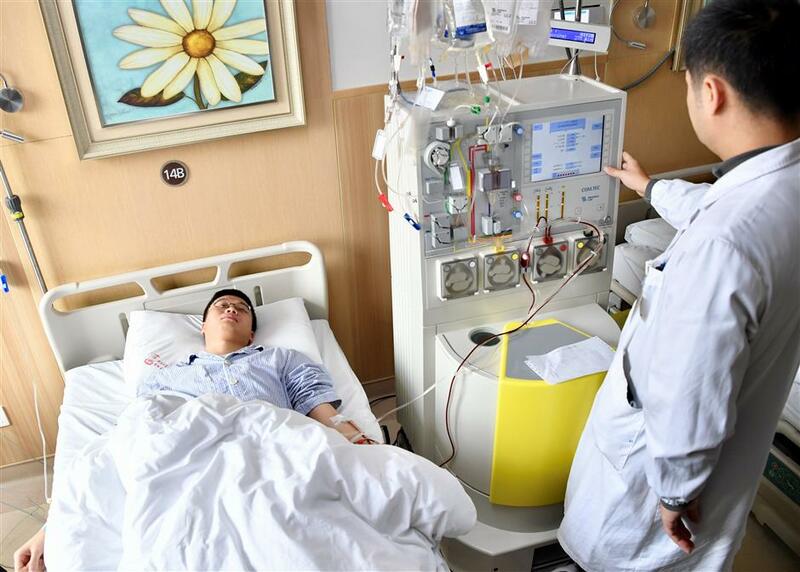 A 24-year-old local man donated stem cells in Shanghai on Monday to save the life of a leukemia patient. A 24-year-old man donated stem cells ion Monday to save the life of a leukemia patient, becoming Shanghai’s 421st stem cell donor. Some 160,000 people are registered with the donor bank. Among the 420 realized donations, 18 were sent to overseas, according to the Shanghai branch of the Red Cross Society of China, which runs the bank. Li Jianlin signed up when he was a university student and was informed that his sample matched a patient in November last year. “Stem cell transplant is the most effective treatment for leukemia and we encourage more people to participate,” she said. “The chance of find a matching donor only one in 10,000, so we hope people will help without hesitation if a match is found." Li Jianji donated stem cells to save a leukemia patient on Monday.